I love the great outdoors and aware that reliable equipment is essential to an enjoyable hunting trip. I give product reviews on firearm accessories, tips, and sometimes just my opinion or rant. There is nothing worse then to be on a hunt and have an equipment failure, Come back often, if for no other reason to see if you agree with me or not. I encourage you to leave comments or opinions. You are also welcome to visit my sites at the links below. 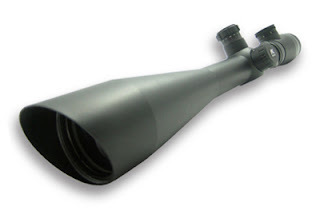 If you have ever shopped for a pistol scope you are probably aware that they are expensive. With the NCStar Pistol Scope 4x32, Blue Lens/Rings, Matte Black that rule doesn’t apply. They are the most affordable handgun scope I have found. Although they have all the features of there high dollar counterparts. Things like long eye relief for extended mounting capability and multi Coated Lenses just to mention a few. You can pay $200.00 and up for a pistol scope or buy this one for about $60.00 the choice is yours. I would rather keep the extra money how about you. Well I was going to do a product review but instead I think I will take the night off. My server is down, the hosting company says they will have it back up and running as soon as possible. I am sorry for any inconvenience. This post is a product review on the Bushnell Trophy 50mm spotting scope with 15-45x Zoom eyepiece kit is a durable and its also 100% waterproof. It has a clear clean view of whatever you want to see up close be it wildlife, landscape, birding or whatever. They are quite lightweight for their objective sizes. The Bushnell Trophy 50mm Telescope is a must have for anyone who enjoys the outdoors. 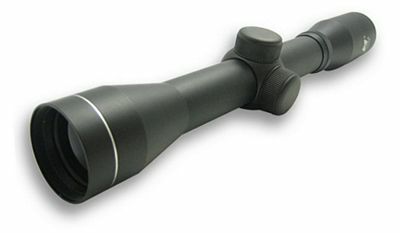 The NCStar Mark III Series Rifle Scope 4-16x50 is an innovative design gives you all the bells and whistles. This is one of the most sophisticated scopes I have seen for any price. The cool thing about this one is it sells for around $100.00 dollars. It has all the features of the high dollar scopes, I will list some of it’s features. I own several of the high dollar scopes, the NCStar scopes perform as well as they do for a fraction of the cost. Self Defense Ammunition is it effective? Self Defense Ammunition is it effective? From what I understand from my research the self defense round has advantages and disadvantages. -For use in the home the bullet expands quickly there is less chance of it going through a wall and hitting someone you didn’t intend to shoot, like the guy next door. -They also expand quickly too almost twice their size, so it makes a larger entrance wound. -They also expand quickly therefor they spend their energy quickly and don’t have a lot of penetration so the bullet may not stop your assailant, unlike their jacketed counterpart. -If there is anything between you and the assailant there is not much chance of it penetrating the object they are hiding behind. There are good and bad. But no matter what self defense bullet you decide to use, please use it with care, because once it is fired you can’t call it back, only use them in a life or death situation. We strive to furnish high quality products for all your Camping needs at a discounted price. I am an avid outdoors enthusiast. I enjoy almost anything to do with the outdoors, camping, fishing, boating, hunting and target shooting. I do them all every chance I get. I almost rased my children in the outdoors and they turned out better because of it. There is no better place to spend quality time with your children than the outdoors. It gives you a chance to get away from the every day grind of life and get back to more relaxed setting. A camping trip with the family gives you a chance to sit back and spend quality time with each other with no outside distractions. So get out there and enjoy the great outdoors it is a nice place to be. Young's Enterprises. Awesome Inc. theme. Powered by Blogger.